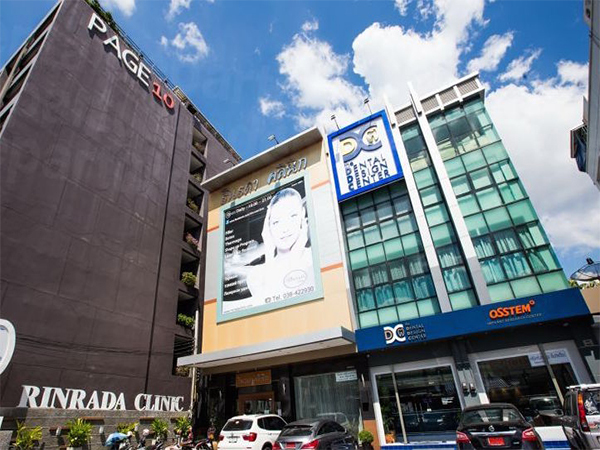 The Dental Design Center is the most trusted cosmetic and implant dentistry clinic in Pattaya City and its surrounding areas. 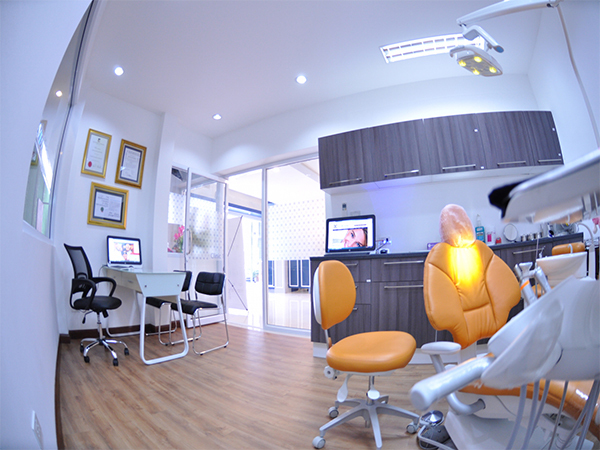 We specialize in complex restorative, orthodontic, cosmetic and implant dentistry. Lead by Dr. Ken Kasidis, Implantologist and Prosthodontist and Dr. Ning Porndee, Orthodontist, our friendly and knowledgeable team provides Cosmetic Dentistry, Implant Dentistry, Orthodontics, and General Dentistry all at exceptionally high standards but affordable prices. 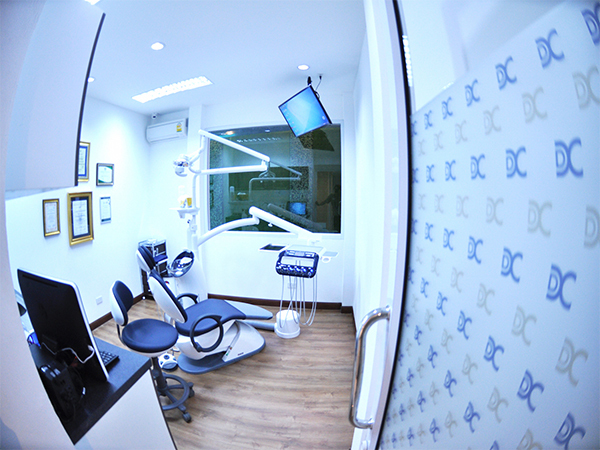 The Dental Design Center range of services are extensive, but are delivered with one goal in mind - to provide patients a beautiful, bright shining with confident smiles they deserve. From complex restorative cases such as full mouth cosmetic rehabilitation, full mouth implant restorations and porcelain veneers, DDC strives to remain on the forefront of the most current industry techniques with hi-technology and superior dental materials. Our office utilizes modern 3-D CT scanning technology to provide the most accurate assessment of your individual implant needs. 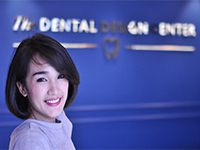 The Dental Design Center has been dedicated to cosmetic dentistry for almost fifteen years. 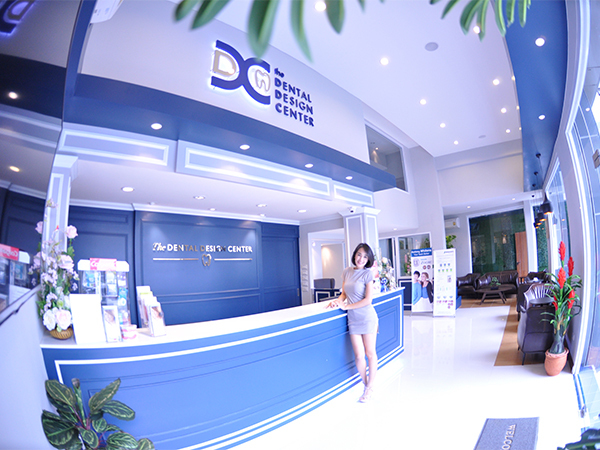 If you are looking for a number one cosmetic dentist in Pattaya, Thailand, then The Dental Design Center is an excellent choice for you. 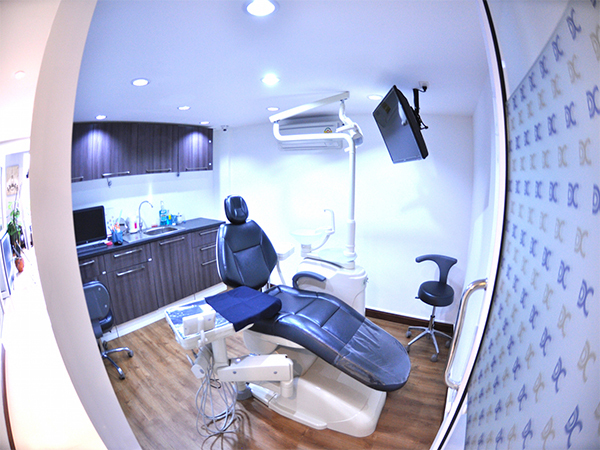 Our office is fully digital, with 7 dental chairs equipped with LCD screens where patients can watch their favorite movies. We also provide free high-speed Wi-Fi internet throughout our office, all to ensure that our patients are as comfortable as possible during their appointment. We are a dentists of distinction. Our team of professionals are comfortable in performing the simplest periodic cleaning to the most complicated bone and tissue surgery involving bone grafting and jaw reconstruction. Their skills are reinforce by their extensive educational and training backgrounds that encompass the globe from locally in Thailand to the US, Australia, and Canada. 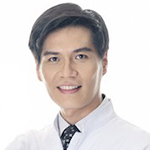 Our Founder, Dr. Ken Kasidis, is one of the leader implant dentist in Thailand, placing and restoring nearly 10,000 dental implants in his 15-year of experience in implant dentistry. 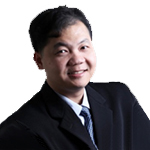 He is a faculty of Osstem dental implant team for advance educational program for Thai dentists. Dr. Ken Kasidis lectures nationally and internationally in the topic of dental implants, full mouth rehabilitation and cosmetic dentistry. 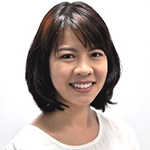 Dr. Ning Porndee, is also the top Invisalign treating dentist in Thailand, achieving more than 500 Invisalign cases on her own. She has accredited Invisalign diamond provider in the year 2016. 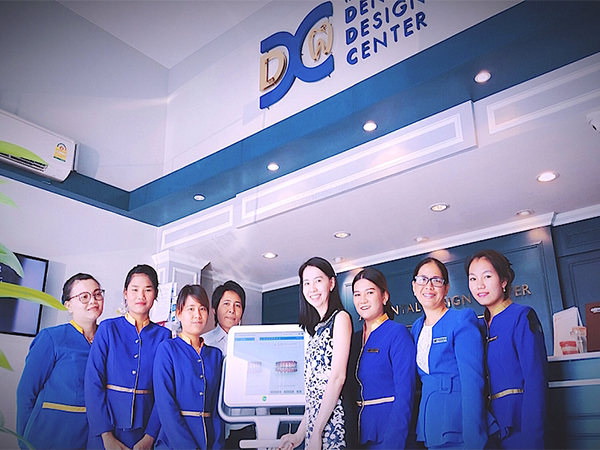 We are the first clinic in Eastern region of Thailand and Pattaya City to receive the new iTero Element digital intraoral scanner. The iTero Element Scanner is a state-of-the-art digital dental impression system that eliminates the need for messy impression material in your mouth. Not only a digital impression more comfortable, it is also much more accurate and facilitate our dentist to work faster and more efficiently. With our iTero Element Scanner, our dentist can digitally capture a detailed 3D model of your teeth and gums. Once the scan is complete, our dentist will then have a 3D model of your mouth that can be used with all Invisalign® services, including the Invisalign Outcome Simulator to show you what your new smile might look like. Besides from Invisalign treatment, iTero is developing software for restorative work. This allows our dentist and dental laboratory to design and plan for restorative procedures such as crown and bridge faster and more accurate. 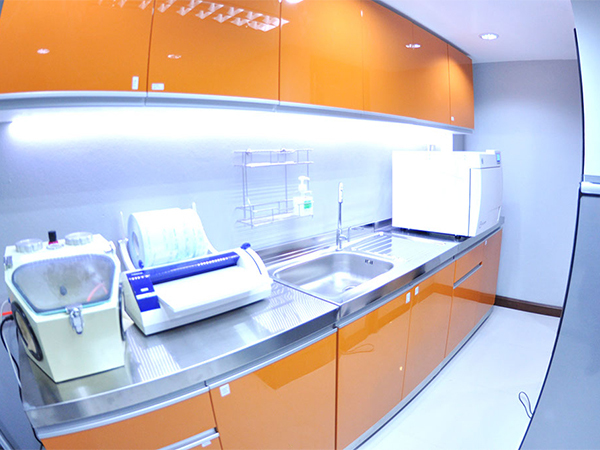 Dental Design Center in Pattaya is also proud to offer Cone Beam (Computed Tomography) CT scan technology at our office. HDX-Will machine allows our dentist to take high resolution 3D scans of your mouth and teeth to help us better diagnosis problem areas. 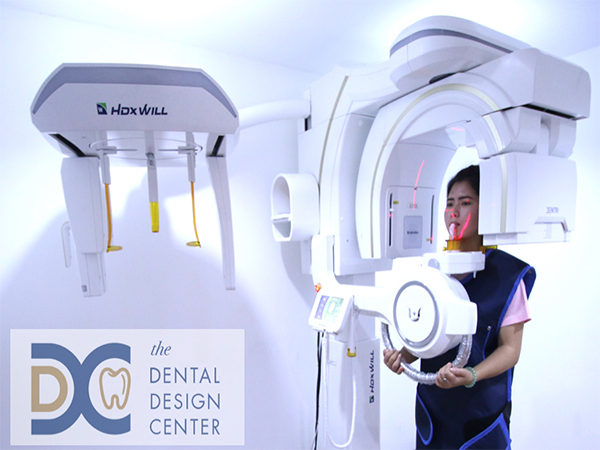 Our goal at DDC is to ensure that you receive the best possible dental care available for any number of dental procedures, and by implementing this machine into our process, we can see things that normal x-rays might not be able to see. Your safety is our utmost concern that is why we chose the most effective system currently available: class B autoclave. This type of autoclave not only complies with, but exceeds all European Union EN13060 requirements. Our class B autoclaves incorporate better steam penetration through fractionated pre-vacuum technology and can be used for every type of instruments (including previously hard to penetrate hollow instruments like dental handpieces). So our patients can rest assured that their safety is never compromised. 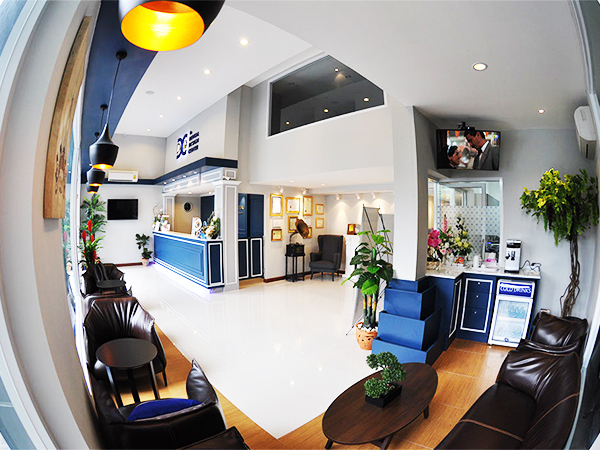 Over 70% of our patients have been with us since we first opened in business here in Pattaya and we rely on word of mouth referrals with over 80% of our new patients being referred in by a friend, family or other dentists. We are proud of our ability to maintain long term relationships with our patients, because we treat you like our family. Meet with our friendly dental team. Excellent dental work, can recommend for crowns. Teeth whitening usually takes about 1 - 2 hours to complete, and most patients experience a change a 7 - 9 shades in tooth coloration. 5 - 7 days required for 1 - 6+ crowns, and 10 - 14 days for full mouth crowns. 3 - 5 business days are required for 1 - 5 crowns, 5 - 7 business days required for 6+ crowns, and 10 - 14 days for full mouth crowns.